When buildings collapse, auto accidents occur or a major electrical mishap takes place, it is the job of forensic engineers to research the causes and damages. A forensic engineer is an engineer who applies his or her engineering experience to forensic topics. Forensic engineers typically work with civil cases involving products which have failed to perform as expected, but they can also be involved in criminal cases, and they may be called upon to investigate patent disputes and other legal issues which require the input of an experienced engineer. A typical forensic engineer holds at least a bachelor's degree in engineering, and he or she may have a graduate degree or two as well. In a classic example of how forensic engineering might be applied, after a bridge failure, a city government might call an engineer to find out how and why the bridge failed, and who might be liable. Lawyers and public safety agencies can also use forensic engineers in product liability cases, and in other situations where the failure of an engineering product caused an undesirable outcome. In investigations into patent claims, forensic engineers can examine the product being patented, and determine whether or not it is truly original. In criminal cases, a forensic engineer may talk about various engineering-related conditions which are relevant to the case. If, for example, someone is accused of filing another person's brake lines with the goal of causing them to sever, leading the brakes to fail, a forensic engineer could talk generally about how brakes work and which techniques could be used to make them fail, and he or she could examine actual physical evidence to see what happened, and whether or not the case is valid. Engineering can also become relevant in more abstract ways, ranging from claims by a defendant which are designed to provide an alibi which could be disproved by an engineer, to examining homemade weapons to determine how they were engineered, what level of expertise would have been needed to make them, and how well they would have worked. Forensic engineers work both in the laboratory and in the field, relying on a variety of tools and skills to perform their work. In some cases, a forensic engineer may be hired by a government agency, such as a police force. Others work for firms which specialize in forensic engineering, or for companies which manufacture products like cars, which require a great deal of engineering expertise to make their products safe. Others may work as professors or instructors, serving as forensic engineering consultants on the side. What Does a Product Engineer Do? How Do I Become a Clinical Engineer? How do I Become a Forensic Entomologist? What does an Airport Engineer do? 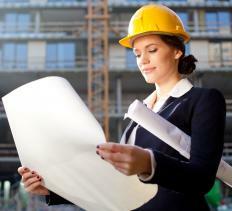 How Do I Become a Geotechnical Engineer? @Sunny27 - I wanted to add that I was looking into getting a forensic engineering degree, but my school does not offer it. Instead they offer various Masters Degrees in engineering and the counselor suggesting taking a general Masters degree so that I can tailor it to meet my needs. The demand is not so great for forensic engineering which is why there are not a lot of forensic engineering jobs, but most schools do offer courses on failure analysis and related topics. It sounds like a challenging field that really offers a lot of variety. I was reading about the forensic structural engineering field and I have to say that it sounds like an excellent choice for my son. He is great at math and loves to build things and tear things apart to see how it is built. He is only seven but I am always looking at potential career choices for him because I want him to be exposed to them early on. I also think that the forensic engineer salary is not too shabby with many forensic engineer jobs paying well into the six figures.